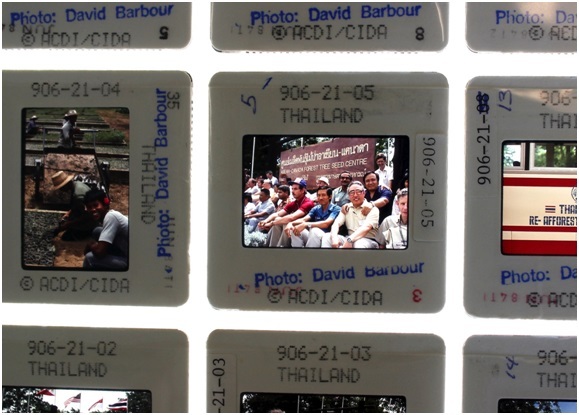 In 1985, nearly twenty years after its inception, CIDA developed a library of photographs that continues to collect and distribute images today. It boasts around 150,000 photographs dating back to the early years of the Agency, and spans the globe. A unique depository worldwide, the Photo Library answers daily requests from the Department of Global Affairs to supply images for its social media; communications products and from clients from abroad such as NGOs and embassies. While only a sample of the collection can be seen online, the entire collection has been digitized and is available for viewing at the International Development Photo Library. Having resided at Place du Portage in Gatineau since its inception, the Library has just moved to Global Affairs Canada’s 125 Sussex Dr. Ottawa office last month as a result of CIDA’s 2013 merger with the then Department of Foreign Affairs and International Trade. 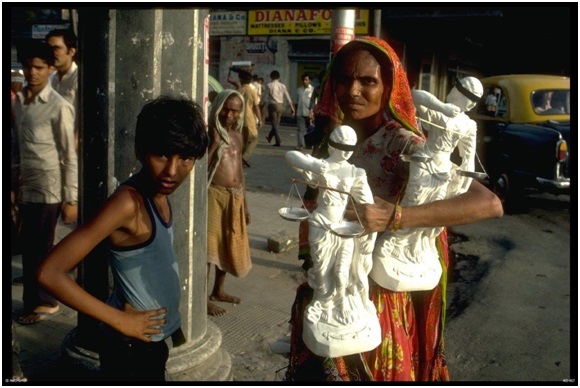 Development Exhibit; Slide #: 468-53-06; Street scene, Calcutta, India, 1986; (c) Global Affairs Canada/David Barbour. Initially, CIDA photographs were being made for its Briefing Centre which collected material to produce slideshows, films and videos as instructional material for development officers going out into the field. 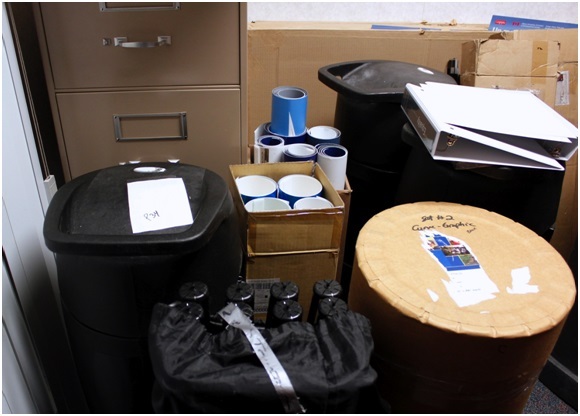 Prior to hiring professionals, the majority of these stills, largely from the 1970s, were taken by development officers themselves. 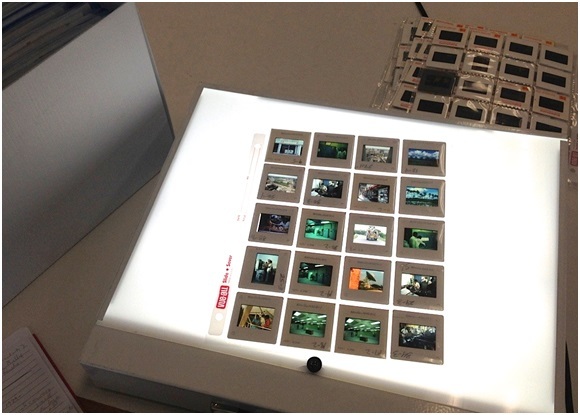 By the early 1980s, the Briefing Centre began hiring professional photographers as it recognized a broader potential for photography beyond the Briefing Centre’s needs, and thus the necessity of improving the quality of the collection. By this time, it was standard practice in the international aid sector to hire professional photographers for numerous reasons. Those photographers contracted early on by CIDA documented development projects and members of communities at the receiving end of Canada’s ODA. 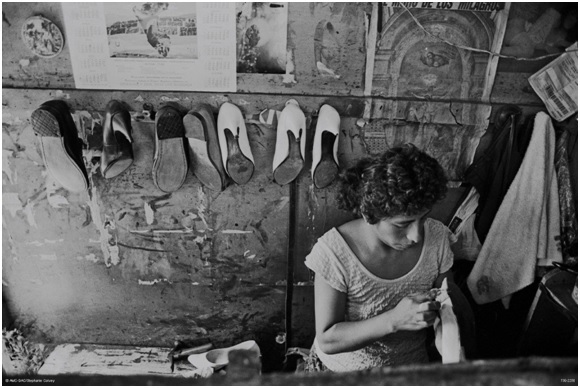 Continuing the Briefing Centre’s mandate, they also photographed everyday life in the developing world. Paul Chiasson and Dilip Mehta were among the first photojournalists and documentary photographers hired for assignment. This Briefing Centre photo collection was transferred to CIDA’s Public Affairs Branch in 1983. Some of this material resides in the CIDA Fonds at Library and Archives Canada (R948-40-4 E archival reference number). It represents 8,291 photographs, from 1972 to 1985. 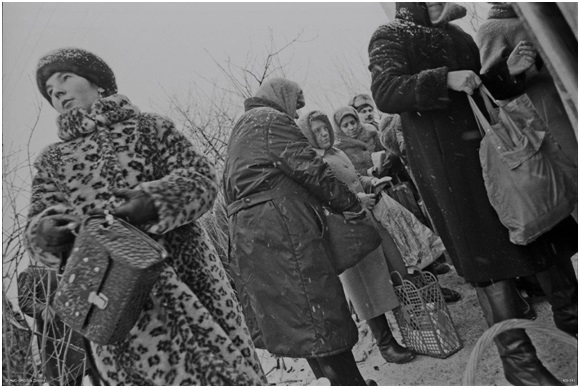 Rights and Realities Exhibit; Slide: 439-317-28; Women wait for milk to arrive from the local collective farm, Malin, Ukraine, 1995; (c) Global Affairs Canada/Iva Zimova. 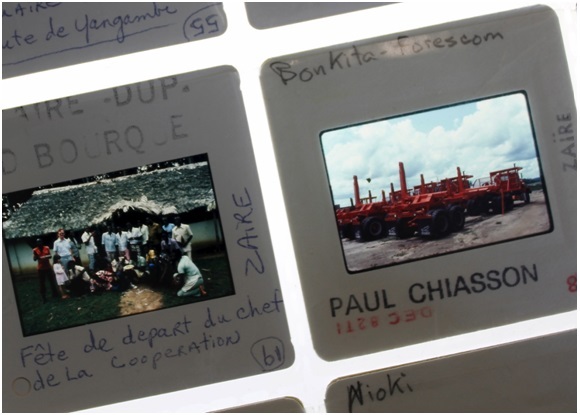 CIDA_LAC_sdl_92016_b; Photo credit: Sonya de Laat; Sheets of original slides from the Briefing Centre, part of the GAC (formerly CDA) International Development collection housed at Library Archives Canada. Library and Archives Canada/Canadian International Development Agency/TCS00196-1988-056 2000816725. 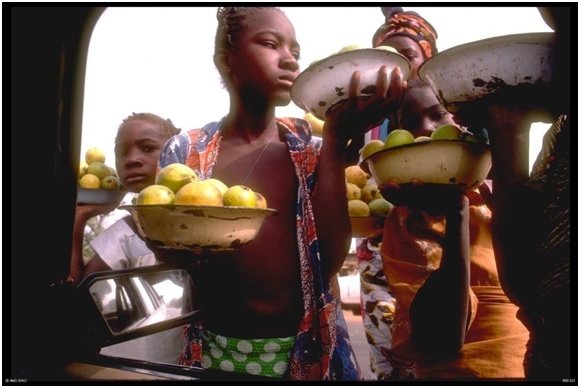 Development Exhibit; Slide: 608-19-16; Children selling fruit in market, Bamako, Mali, 1985; (c) Global Affairs Canada/Michel Dompierre. – various economic sectors: manufacturing, agriculture, mining, electricity, for instance. Sonya de Laat is a PhD Candidate in Media Studies at Western University. Dominique Marshall is a Professor of History at Carleton University. Sonya de Laat will present a paper on “Pictures in Development: Exploring the history and image of CIDA through its visual culture” at the Conference “A Samaritan State Revisited”. Acknowledgement: The authors are grateful to the generosity of Mary Bramley, Team Leader of the International Development Photo Library/ Photothèque for showing us around and sharing her memories of 28 years, and her expertise. We also thank Dr. Greg Donaghy, Head of the Historical Section of Global Affairs Canada, for facilitating this encounter, and George Duimovitch, Systems Librarian at Carleton University for offering a permanent home to some of the Photo Library’s ephemeral productions. Featured image credit: CIDA LAC sdl 92016 c; Photo credit: Sonya de Laat; From the over 8000 CIDA photographs from 1972-1985 held at the Library and Archives Canada; Library and Archives Canada/Canadian International Development Agency/TCS00196-1988-056 2000816725. The photos on the “Development” website of Global Affairs Canada are from the Library. 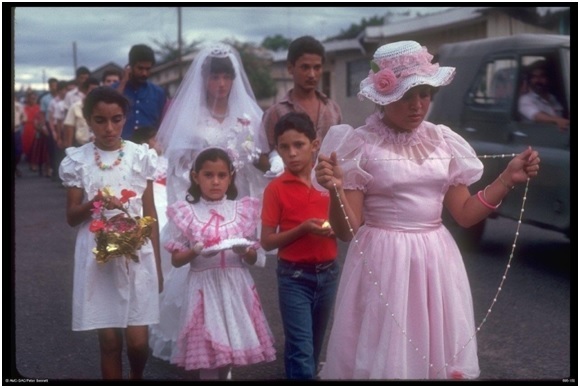 Other Children Exhibit; ID Number: 696-150; Slide Number: 696-11-15; Date:1988; A boy and a girl take part in a wedding procession in Esteli, Nicaragua; (c)Global Affairs Canada/Peter Bennett. 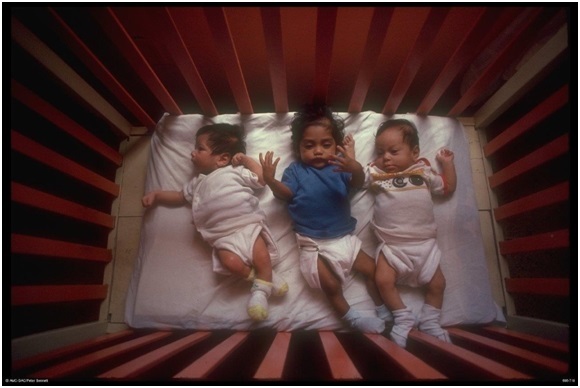 Other Children Exhibit; ID Number: 696-719; Slide Number: 696-43-20; Date:1988; Babies in a crib at an orphanage, Managua, Nicaragua; (c)Global Affairs Canada/Peter Bennett. 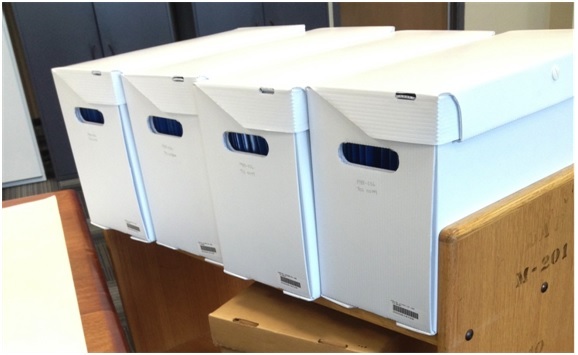 Photo credit: Sonya de Laat; Boxes containing the collection of Briefing Centre photographs, part of the GAC (formerly CIDA) International Development collection housed at the Library and Archives Canada. Library and Archives Canada/Canadian International Development Agency/TCS00196-1988-056 2000816725. File: extra CIDA_LAC_sdl_92016 Photo credit: Sonya de Laat; Collection of award winning photographer David Barbour’s photographs depicting CIDA staff and partners part of the Library and Archives Canada collection. Library and Archives Canada/Canadian International Development Agency/TCS00196-1988-056 2000816725. 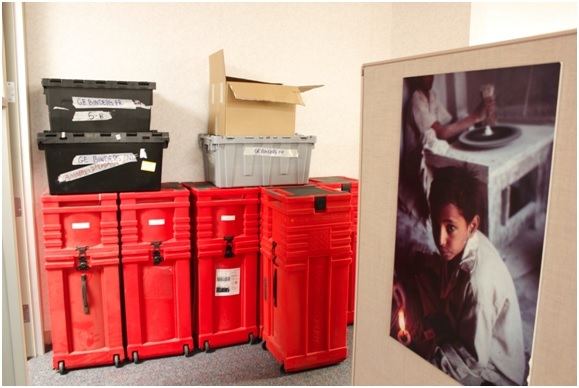 PhotoTheque_sdl_92016_b; Photo credit: Sonya de Laat; One of many striking photographs, here by photographer David Trattles, from the Global Affairs Canada (former CIDA) International Development Photo Library flanks stored exhibition material. PhotoTheque_sdl_92016_c; Photo credit: Sonya de Laat; Storage of previous Global Affairs Canada (former CIDA) International Development Photo Library exhibition material.